It was a pleasure getting to photograph Brian for his senior pictures. Brian is a senior at Harrison High School in Georgia. 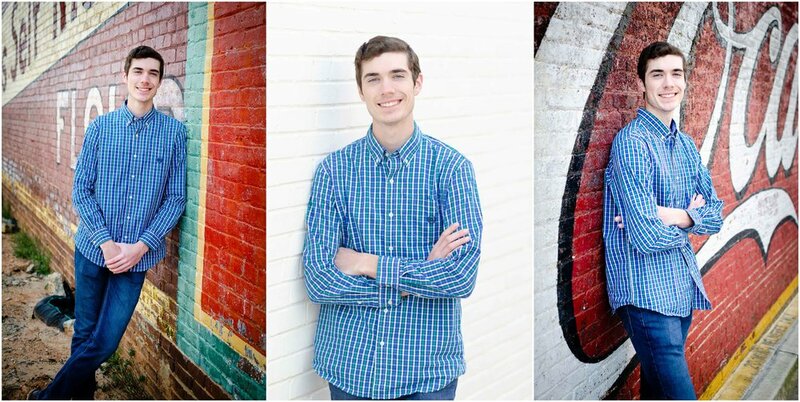 He will be attending the University of Tennessee this fall, majoring in Biology and pharmaceuticals. 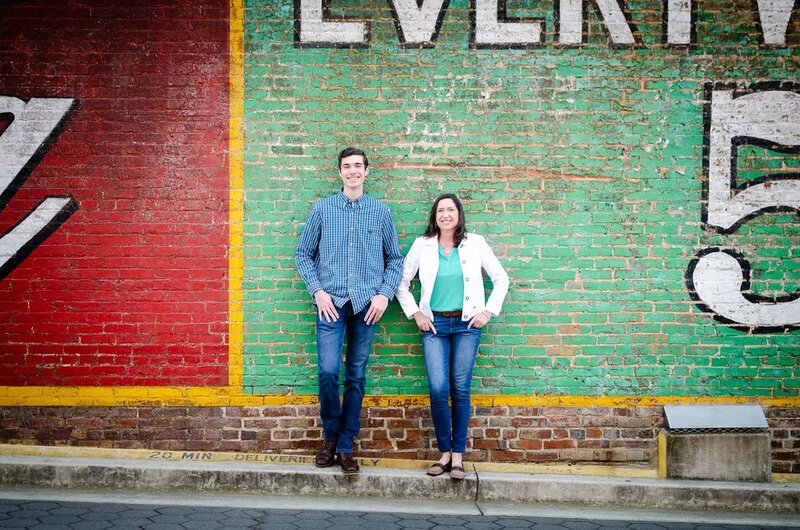 Brian’s Senior Photos in Downtown Acworth. Brian is very photogenic and he had no problem walking around downtown Acworth, Georgia looking for great spots for pictures. The biggest problem I had, is Brian is 6’ 5”. Now that happens to be the same height I am, but usually it gives me an advantage when shooting. I can get a better angle when I have a few inches above someone. I have never had to shoot straight on at anyone before. I had to change my shooting style a little, but overall I think it worked out well. 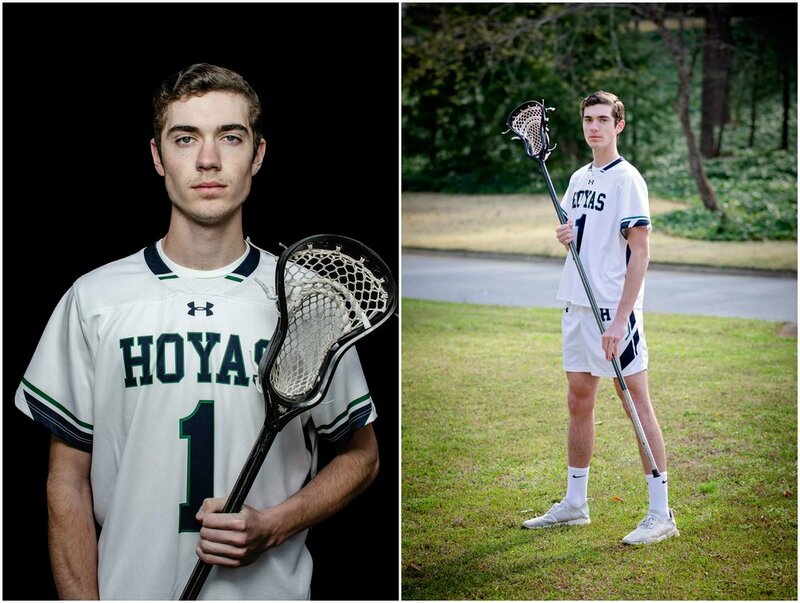 Brian also pays lacrosse for the Harrison Hoyas, and although he told me this year has not been the best, he enjoys the sport and the friends he has made during the years. Harrison High School Hoyas Lacrosse. This was the first time that i photographed in Downtown Acworth Georgia. It had a lot of great little spots for portraits and places to create many different looks. The restaurants are also really good. Ok, back on topic, show more photos. Thanks for checking out the post. Acworth had a lot of different areas to shoot in a small area. This was not a planned shot, the train just happened to come by while we were working around. Brian and his mom in downtown Acworth Georgia.